I love it when I come across a new recipe for canning, and just couldn't wait to try it and share it! 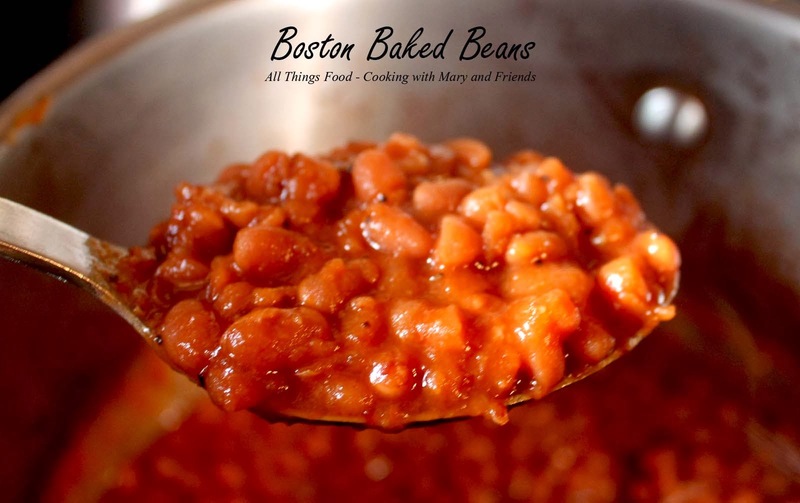 This one is much more reminiscent of true Boston Baked Beans with onion, bacon pieces, molasses, ground mustard, and more goodness! I tasted it several times during the "baking" process and adjusted the seasonings to our taste, so please feel free to make it your own. The process is long, but you're not standing over it all day long, and the results are so worth the time it takes! Sort and rinse the beans in a colander in cold water. In a large stock pot add beans and 3 cups of water per 1 cup of beans (9 cups water for 3 cups of beans). Cover and bring to a boil on stove-top. Boil 2 minutes, remove from heat and let sit covered 1 hour. Drain and rinse beans. Add beans back to the stock pot, add 9 cups of water, and heat to boiling. Drain (this time reserving the bean water in a bowl). Mix the bacon, molasses, salt, ground mustard, ketchup (or barbecue sauce), brown sugar, onion, Worcestershire sauce, pepper and 4 cups of the reserved bean water in a large stock pot; bring to a boil. Remove from heat; stir in drained beans. You may need more bean water as you need enough to cover beans completely. Mixture will be very soupy. 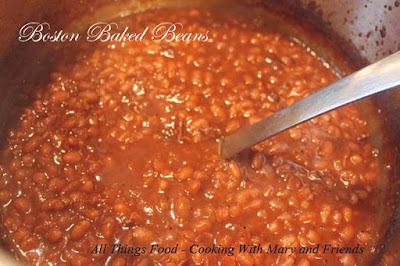 Cover stock pot and bake in oven at 350 for 3-4 hours, stirring every hour and adding more bean water as necessary to keep beans soupy. After 2 hours, taste beans and adjust seasonings to your taste (I added more molasses, ground mustard and pepper). Beans should be ready to pressure can in 3-4 hours (the beans should be cooked, but remember they are going to cook more in the canner, so you don't want them too soft). 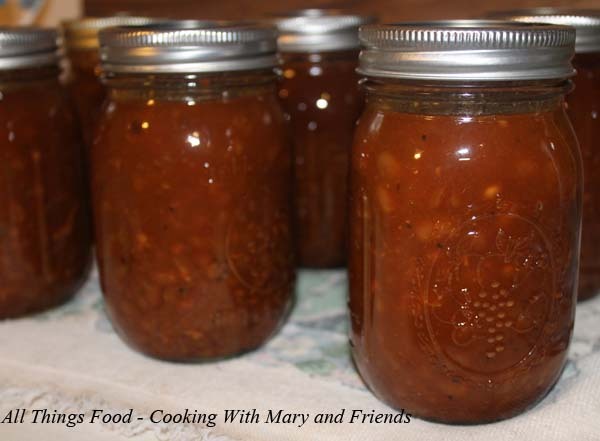 Using a slotted spoon, ladle beans into canning jars, filling with half solids and half liquid (I chose pint jars for us, but quarts work too). Add more bean water to each jar if needed to keep mixture "soupy." Cover jars with seals and pressure can pints 65 minutes at 10 lbs. pressure (quarts are 75 minutes). Remove pressure canner from heat, allow pressure to release on its own, remove jars (place on a kitchen towel on your counter-top) and leave undisturbed 24 hours. Jars are sealed when you hear the "popping" of the lids depressing (raised button in the middle of the lid is depressed). Store on pantry shelf. Shelf life is 1 year. *Cook's Note - No need to can them if you don't want to. Simply bake and eat! 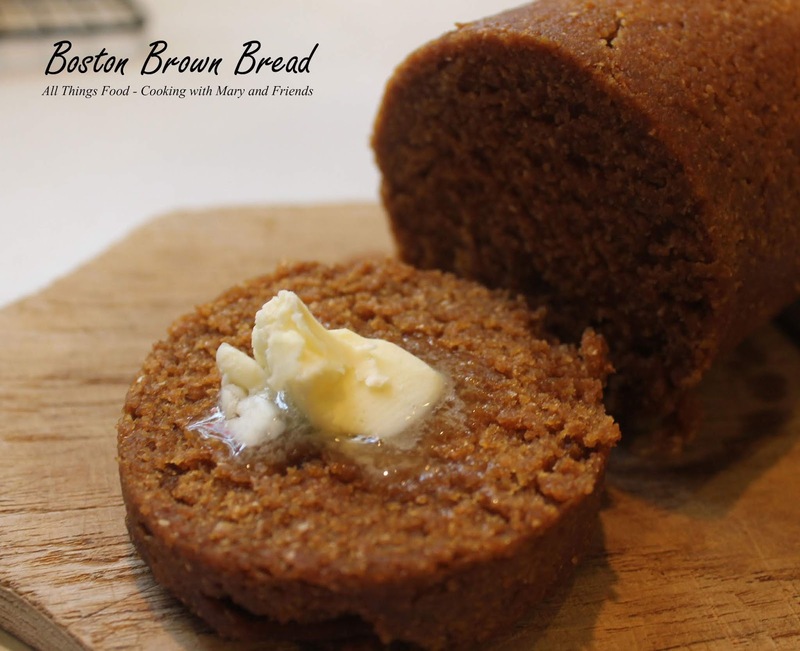 Enjoy your Boston Baked Beans with some Boston Brown Bread for an authentic New England treat. Does it thicken up once done?